Every family has a dream to own their own home and in 1981 that dream became a reality for me and my family when someone offered to give me a home to be moved. Not only do I still live in this home today but also our business was born out of that move. This kind of determination and hard work is what makes Simmons House Moving, Inc. the respected company it is today. Throughout the years Simmons House Moving, Inc. has acquired the knowledge, equipment, and expertise it takes to make every move the safest and most successful it can be. 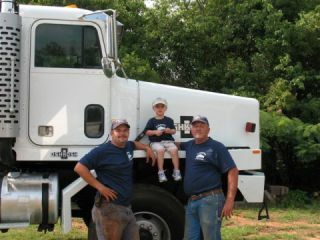 As a family business, we work together and strive to ensure that every client will hopefully have a stress-free, comfortable experience, and feel confident that they have chosen the best mover for the job. Thanks for visiting with us today and if we can be of service to you please do not hesitate to call (704) 484-8691 or e-mail us for your free consultation.